Antoinette “Toni” (Diani) Kent, 88, of Abington died Dec. 28, 2010, at Pierce Memorial Baptist Home in Brooklyn. She was the wife of the late Robert A. Kent. He died in 2003. They were married in 1980. Born Sept. 12, 1922, in Grafton, Mass., daughter of the late Annibale and Speranza (Cerutti) Diani. Her family moved to Pomfret in 1925 and in 1949 moved to the Abington section of Pomfret. She graduated from Putnam High in 1941. She worked at the former Russian Bear in Thompson for a short time. Then Toni worked at Lucchesi’s Fruit Store until 1958 when she took a position with the Postal Service in Abington, Toni served for more than 29 years as clerk and then post master of the Abington Post Office until her retirement in September of 1987. She was a member of Most Holy Trinity Church in Pomfret. Toni enjoyed gardening, baking, and cooking. Her favorite place to visit was Danville, Vt.
Toni served for many years on the Town of Pomfret’s Planning Commission, the Pomfret Fire District, the Wolf Den Grange Society 61, and was treasurer of the Abington Social Library. She was known as a baker of delicious cakes and cookies. She was proclaimed by the town of Pomfret on May 10, 2002, as being named Antoinette Toni Kent Day. She was a member of the Pomfret Seniors Association. 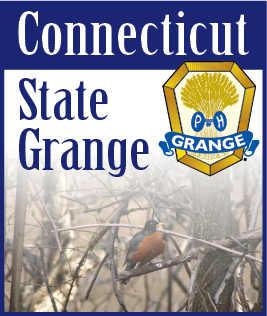 She was recognized by the Connecticut State Grange as one of the Silver Star Builders of the Order of Patrons of Husbandry and as a 50-year member of the Grange she received a Golden Sheaf Certificate. She was a life member of the Woodstock Agricultural Society. She leaves nieces and nephews. She was predeceased by her three brothers, Charles, Peter and Marino Diani. The Mass of Christian Burial was Jan. 3 at Most Holy Trinity Church, with burial in Abington Cemetery in the spring. Donations: American Cancer Society, 825 Brook St., I-91 Tech Ctr, Rocky Hill, CT 06067; or St. Jude Children’s Research Hospital, 501 St. Jude Place, Memphis, TN 38105. Smith & Walker Funeral Home, 148 Grove St., Putnam.